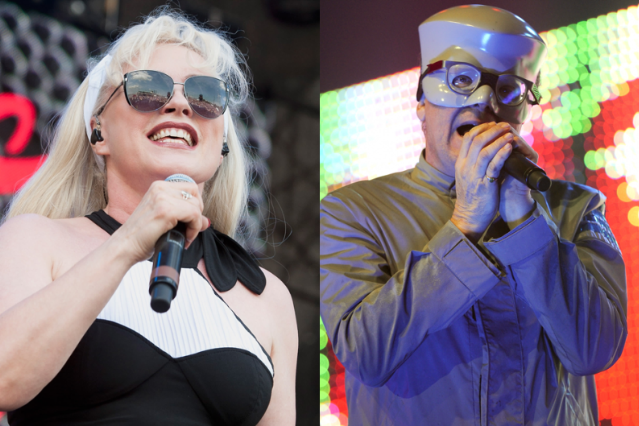 Perhaps the 1980s finally sensed that the 1990s have been encroaching on its nostalgia-du-jour territory, because today Blondie, Devo, and Peter Gabriel all announced fall U.S. tour dates. Debbie Harry and Co. are teaming up with Mark Mothersbaugh (who recently shared a track with SPIN from his latest, the score for Wes Anderson’s Moonrise Kingdom) and his crew. Only four dates have been confirmed so far, but as Slicing Up Eyeballs points out, Devo’s website promises more dates soon. Blondie are still promoting last summer’s LP Panic of Girls, while Devo are riding out 2010’s Something for Everybody, for which Mothersbaugh and Jerry Casale shared some band-history secrets with SPIN back when it dropped. Gabriel, meanwhile, will be feeling the light and the heat a little more widely, in 13 major-city destinations; according to a press release, “additional dates could be announced,” too. The tour both supports last year’s New Blood and commemorates the 25th (well, technically, 26th, considering its 1986 release) anniversary of So, Gabriel’s seminal fifth studio effort, which will also get a special edition reissue, with a “super deluxe” box set option, on September 18 (his isn’t the only iconic ’80s album announcing a 25th birthday celebration, either). The tour falls just before election season, about which Rush Limbaugh is surely stoked.